Congratulations to the Donald McKay K-8 School, the winner of the 2018 School on the Move Prize! 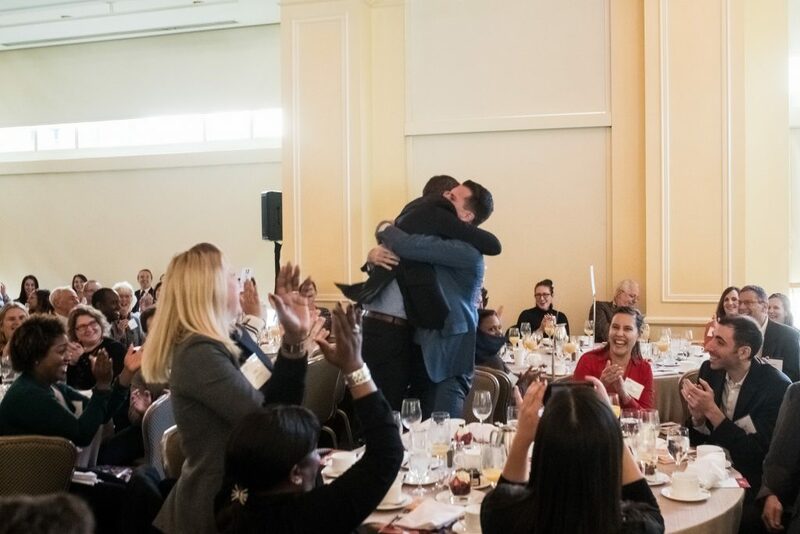 The announcement came Wednesday morning at EdVestors’ 13th annual breakfast celebrating improving schools at Boston Harbor Hotel. In recognition of the school’s dramatic improvement, the McKay received a $100,000 prize, public recognition, and the chance to share its improvement strategies with others. Check out the story in today’s Boston Globe and on WBUR to learn more about the McKay. Visit our gallery to view photos from the event! Learn more about Sponsorship opportunities here or by contacting Senior Vice President for External Relations, Anuradha Desai at desai@edvestors.org or 617 585 5743. 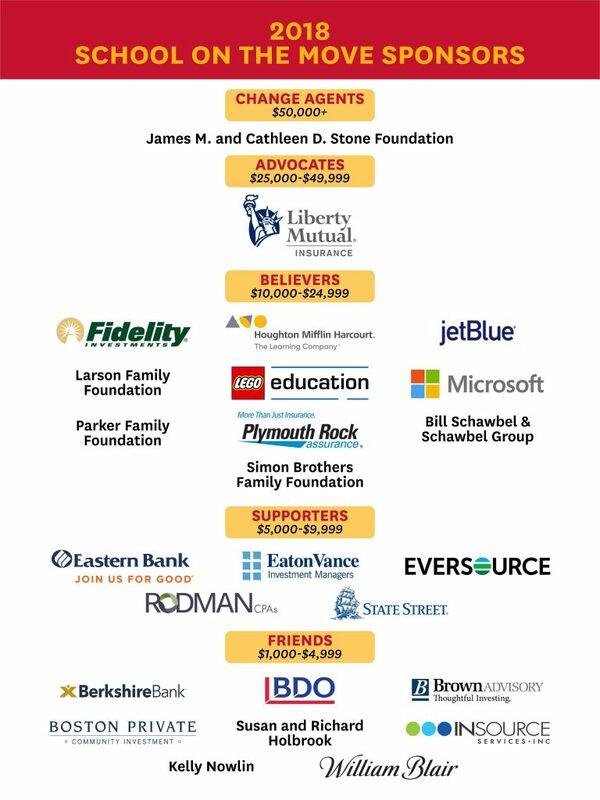 Thank you to our 2018 School on the Move sponsors.